Happy Monday! 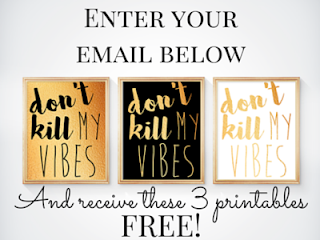 I've been super inconsistent with posting on the blog in the past couple of months, but I'm hoping to change all of that with my new posting schedule. From now on I'll be posting twice a week, Monday and Friday, with each day having its own theme. I am declaring Mondays as "Motherhood Mondays," where I'll be sharing all of my "mom blog" posts. 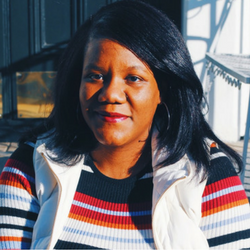 Fridays are "Fashion Fridays," where I will getting back into what made me want to start this blog in the first place: sharing affordable fashion options so we can all look good together! 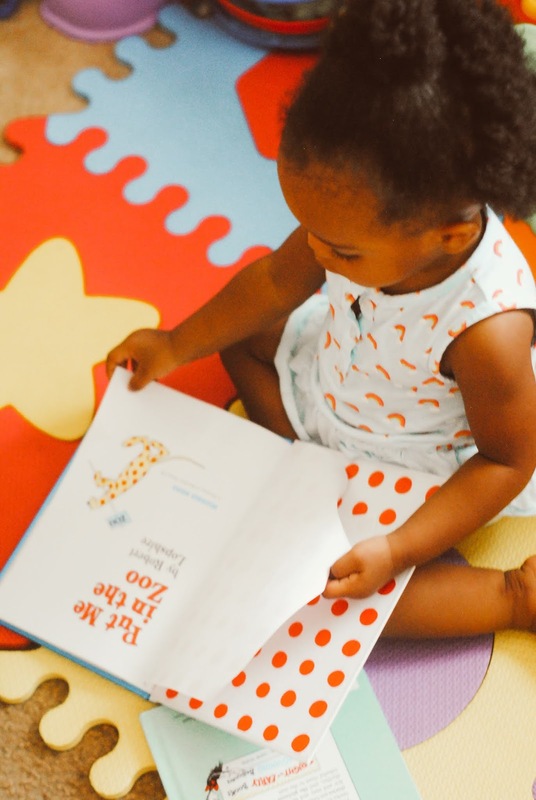 Today's "Motherhood Monday" post was inspired by all the books I've been reading lately, which is everything from the "Crazy Rich Asians" trilogy (pretty good) Gabrielle Union's "We're Going to Need More Wine" (a must read!!) to Robert Gailbraith's latest Cormoran Strike novel (couldn't put it down!!!). I absolutely LOVE to read and McKenna loves to as well (Actually, she just looks at the pictures and talks to them and it's SOOO CUTE!). 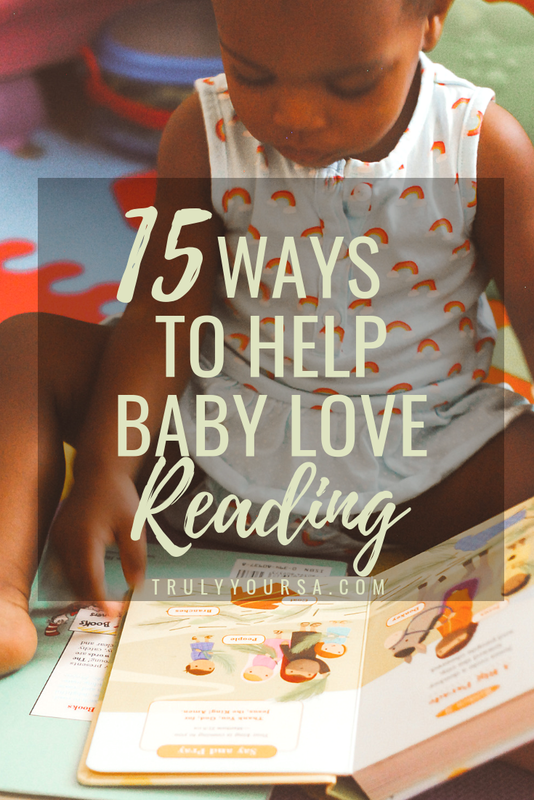 Keep reading for tips on how to get your baby to love reading! Read to them as often as possible. 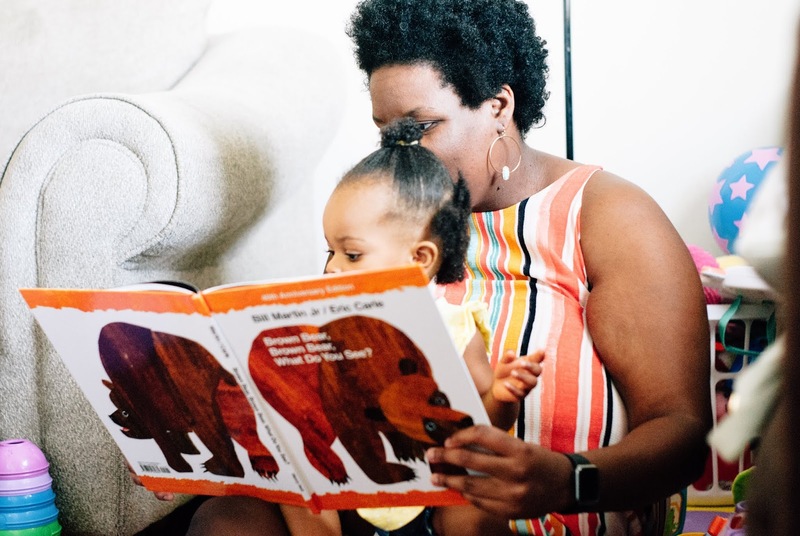 There are tons of benefits to reading to your little one such as helping their language development and forming a stronger bond with you! Let them see you reading and be a role model. This really works! Most of the time when I'm reading a book, McKenna will grab one of her own and sit next to me, which leads to my next tip. Keep their books where they can get them (ex. near or in a toy box). Read the same story over and over. This might be super annoying depending on the book, but babies learn from repetition. 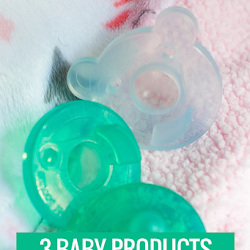 Pack books instead of toys in their diaper bag. Create your own story from a picture book or take a favorite story and reimagine it. Ask questions, make noises, and sing nursery rhymes while reading. Check your local library for storytimes. Every Monday you'll find McKenna and I at our library for stories and social time with other kids. Let your baby pick a page and start to read from there. Read books starting at the end. Have a variety of books. 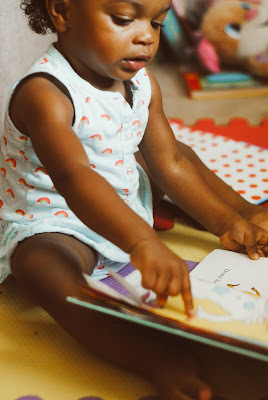 Lift-the-flap, pop-up, and books with different textures will help keep baby interested. Let your baby turn the pages. Don't worry if they skip ahead or go backward. Don't give up! Even if your baby won't sit still or doesn't seem interested, keep trying. Let me know in the comments below if you have any other ways to help your child develop a love of reading! Thanks so much for reading!